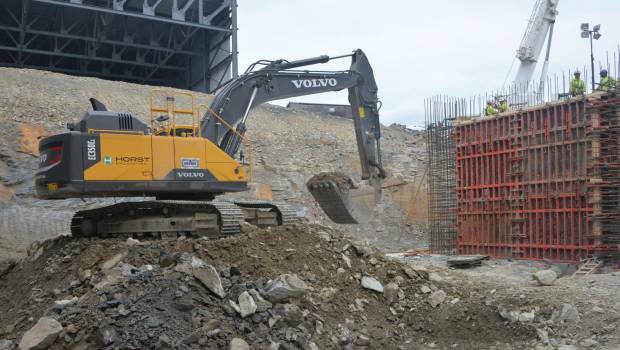 In Pennsylvania, Volvo excavators are undertaking to lay the foundation of a waste-to-energy facility to bring continued long-term stability to York County’s municipal waste management infrastructure. It is said that USA generates 230 million tones of municipal solid waste annually, and according to the U.S. Environmental Protection Agency (EPA), for every ton of waste processed at a waste-to-energy facility, emissions of approximately one ton of carbon dioxide equivalents (CO2e) are avoided. Horst Excavating, awarded on the task of earthwork including demolition, erosion and sedimentations, underground utility work and stone and asphalt paving of a waste-to-energy facility, has to move more than 300,000 yd3 of material. The company has chosen two Volvo’s excavators the EC350E and the EC460 to operate in site work. The EC350E, fitted with 3.5 yd3 bucket providing consistent power and high breakout force to load the blasted rock, the EC460 powering a Genesis GH18NPK 8000 lb-ft hammer to chisel large chunks of limestone that frame the pit. 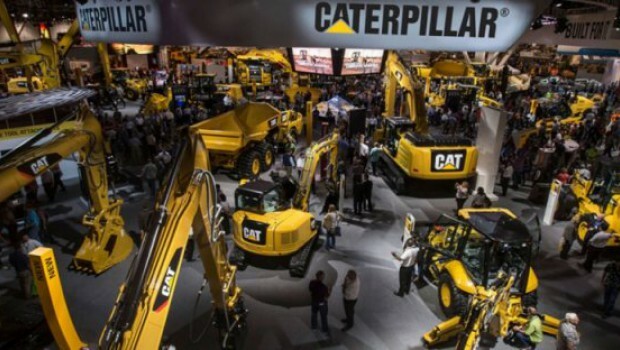 Horst is mining 30,000 yd3 of rock from the pit, excavating nearly five stories deep, Volvo excavators are working 24-hours a day, 365 days a year, and for this high quality and durable equipment, Horst has appealed to Volvo dealer, Highway Equipment & Supply to purchase the machines.